Comfortable straight-leg jeans are crafted from innovative Luxe Performance stretch denim that retains its natural shape and has a soft-brushed interior. Signature squiggle stitching brands the back pockets. 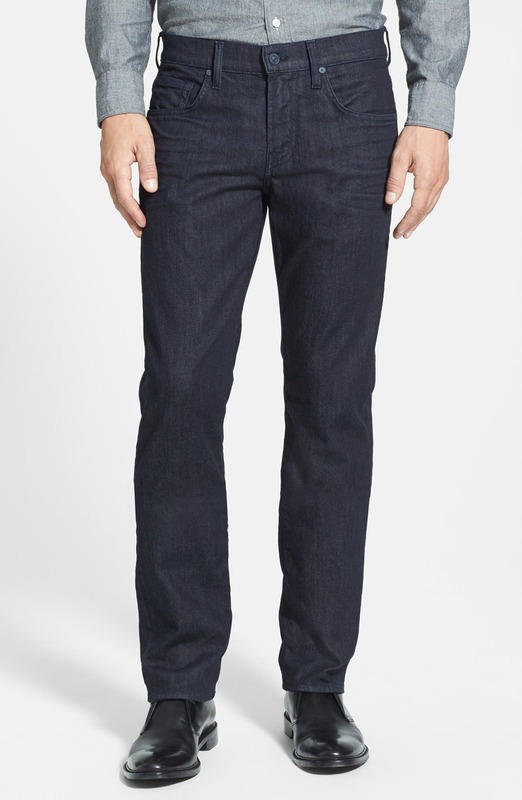 Style Name:7 For All Mankind The Straight - Luxe Performance Slim Straight Leg Jeans (Deep Well). Style Number: 799139. Available in stores.